The DBU Library has lots of books, but what if it doesn't have the book or article you really, REALLY need? No worries! 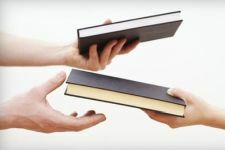 The Interlibrary Loan (ILL) service allows the Library to borrow books or retrieve copies of articles from other participating libraries all across the nation. If DBU does not own the book or periodical you need, you may place an ILL request. Note: Textbooks may not be requested through ILL. If you're NOT familiar with ILL, use the tabs above to find out more. Make sure DBU does not already have the item needed. Check the Online Catalog. Start early! ILL requests may take up to two weeks to fulfill. Please prioritize multiple requests and allow extra time for processing. Only one item per request form. Please use separate forms for each request. In a hurry? Check other libraries in the DFW area, and use your TexShare card to borrow from participating institutions. Apply for your free TexShare card at the circulation desk or online. Some institutions assess fees for ILL services. Please indicate the amount (if any) you are willing to pay in fees on the request form. Fill out the appropriate form completely. Items with * are required. Be specific. Return items to DBU. Please note due dates. Overdue fees are $1 per item per day. You will be notified by email and/or phone when your request has arrived. Pick up items at the circulation desk – you must show your current DBU ID. If a fee is charged by the lender, you must pay it at the time of pick-up. Items not picked up will be returned to the lending library. Borrowed items will have a book strap (paper sleeve) attached. Please do not remove this. Please return books on or before due date, regardless of pick-up date. Items must be returned to the circulation desk. DO NOT USE BOOK DROPS. Distance Learning students must return items to DBU by mail or in person. It is not necessary to return articles. Fines for overdue items: $1.00 per day. You are responsible for paying fees if the book is lost or damaged. The lending library will determine the fee. 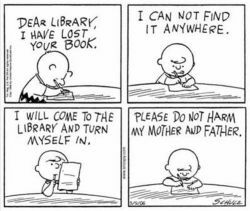 If the lending library recalls the item, you must return it immediately. please contact the ILL Supervisor at least 3 days before the due date. Off-campus students can indicate their Distance Ed status in the comments sections of the ILL request form. Books will be mailed to distance learners upon receipt in the ILL office. Articles are usually forwarded electronically via email unless restricted by a licensing agreement. 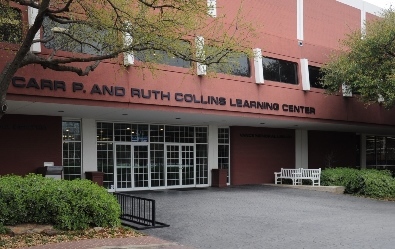 Books must be returned to DBU's library - NOT the lending library. Please mail books in time to be received by the due date. Copyright information is included on the ILL Article Request Form. There are restrictions on how many articles may be requested within a single calendar year. Patrons may submit ILL requests for only one article per journal issue. If a patron requests an additional article from that same issue, royalty fees will apply to the second article, and the student will be responsible for payment. Fees are set by the copyright owner. Also, within one calendar year, the DBU Library can only request five articles from any single journal title. (This only applies to articles published within five years prior to the date of the request.) For the sixth request, the library must seek permission from the copyright owner and pay royalties.